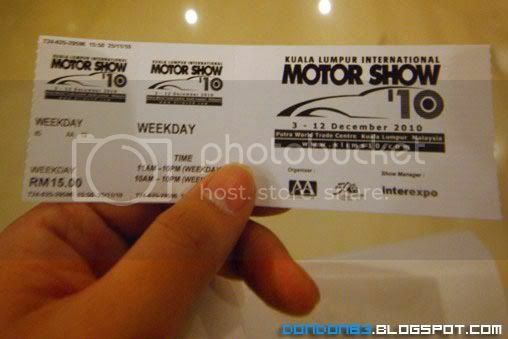 The Very First Devision i enter during KLIMS2010. PROTON. let see what they have? i heard they have lots of CONCEPT car in this shows. here the TUAH?? 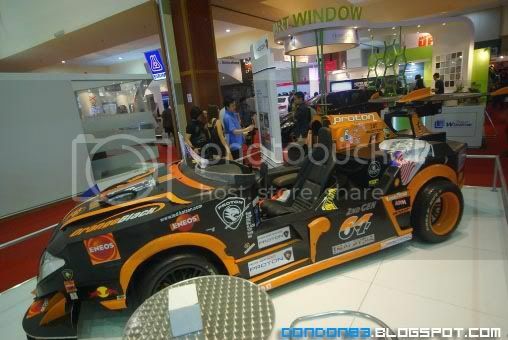 ok... one out of FIVE proton concept car. 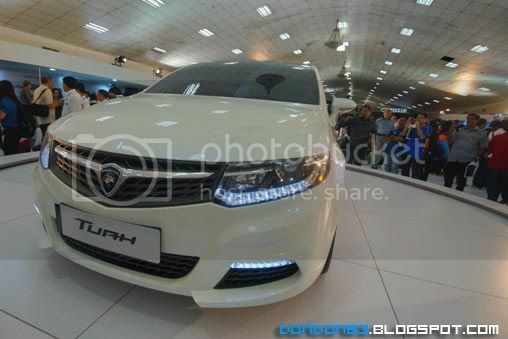 the Proton Tuah...name reference from historical worrior "Hang Tuah"? the Proton Kasturi (Saga Face-lift). 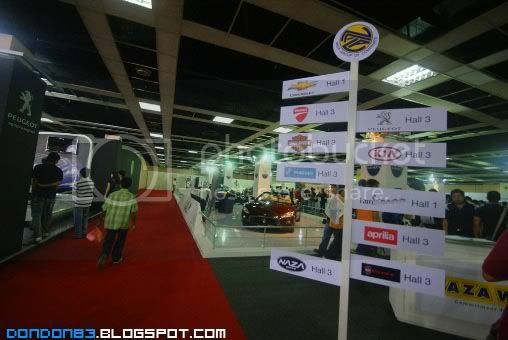 which is the nearest to production concept car(production ready). behind that.. is Proton EMAS.. 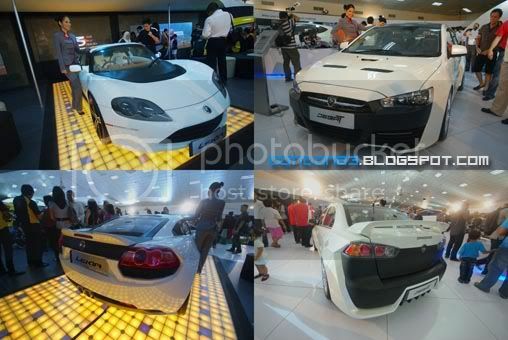 Here's another 2 Re-badged concept car from proton.. Proton Lekir (which is known as Lotus Europa) and Proton Jebat (Mitsubishi Lancer EVO X? or Proton Inspira R3?). 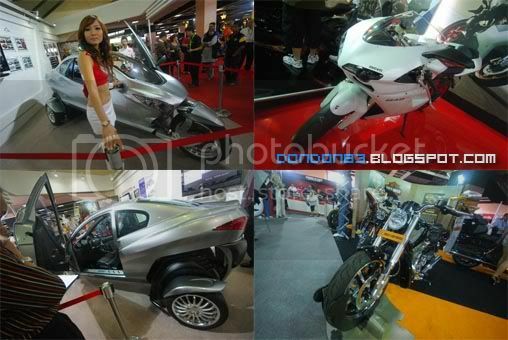 Buy Proton, you can choose model from LOTUS and MITSUBISHI for cheaper price. Good Deal huh? Only Smart Guy Get it. they give me Proton is a Reverse Engineering Organization. why? usually people create a CONCEPT car then fine-tune it and become Production. 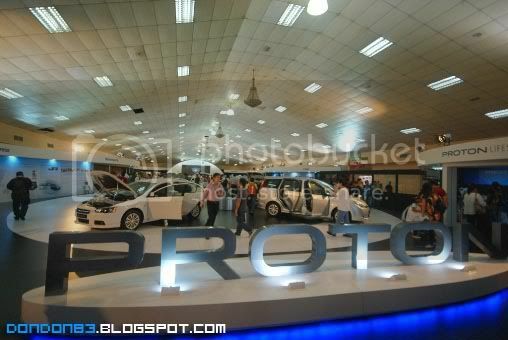 where Proton take in PRODUCTION cars and make it as CONCEPT car. unbelievable rite? Cause Malaysia BOLEH! 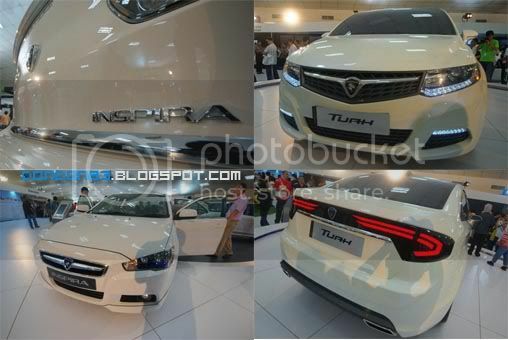 Here's the New Proton Inspira from Mistubishi.. ops. no it's from Proton. 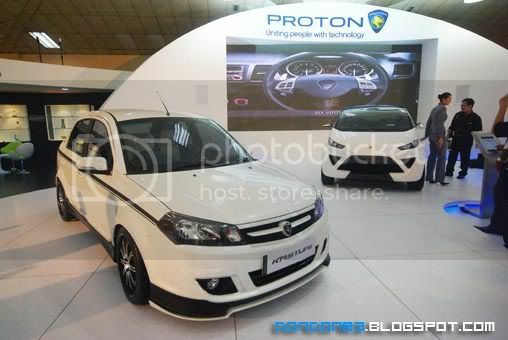 and here is the Proton Tuah.. Certified by Hang Tuah? 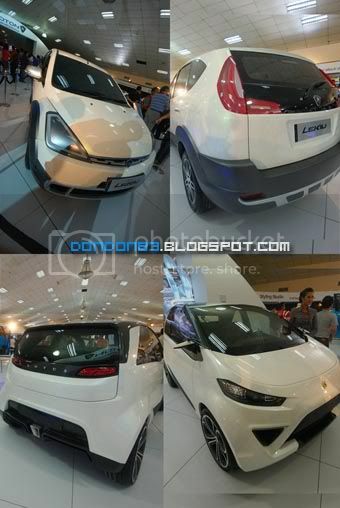 The Proton Lekiu... erm.. MPV concept from proton? 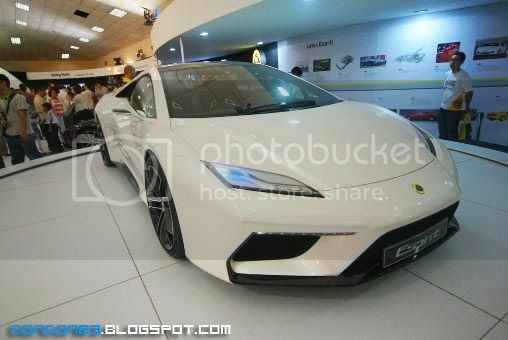 hmph.. and the Proton Emas.. look like a MINI version of Lotus Esprit.. Small and Parking Friendly. Guess what's Surprise i saw? 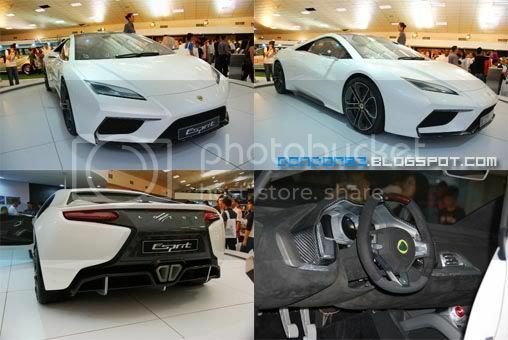 the Next Lotus Esprit 2013! that's amazing... so nice, i wish to have one... 5.0Liter with Price approx £110,000? sound like a super cars league to me..duh.... Proton! add this car to "Tobe Rebadge List" XD. i'm Evil. 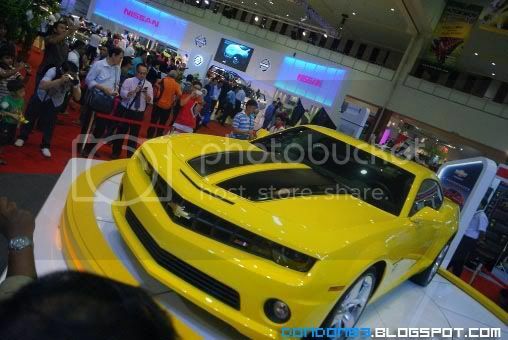 somehow i wish this car to be PROTON first SuperCar. walk walk walk.. and i can see the Fairs environment. here it is.. equipments, accessory, modification parts. show girls. 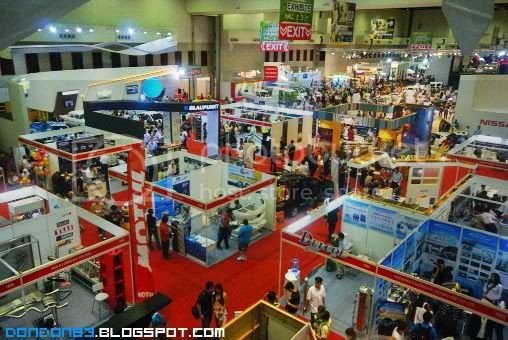 P1 Wimax booth, Broadband booth, Credit cards booth, toy booth... (Life is Hard nowdays huh?) fell like zap palang fair. erm... BMW M1? Perodua Myvi?? Lotus Esprit Concept?? 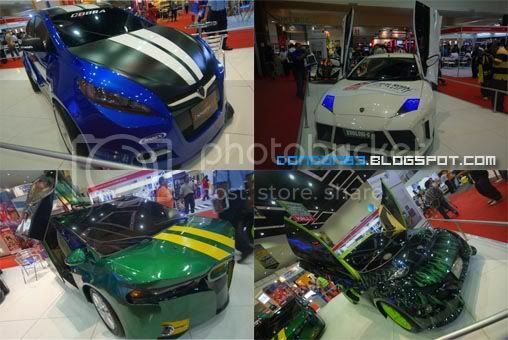 all these is Proton Concept Car? er.. or Lego Competion? Recycle car? i have no idea... all labeled with PROTON logo. i just hope they won't come to Production one day..
Erm... i'm puzzled?? Proton F1 Concept Car?? 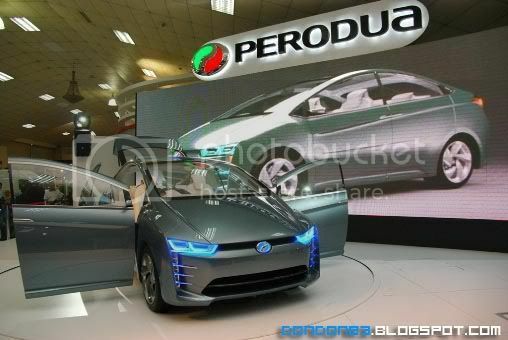 here come another Malaysia Car manufacture, the Perodua, nice concept car. Perodua Beeza. Blue Headlamp?? malaysia Police Love u!! knew u will sponcer them teh Tarik.. haha okok, just a concept rite. hehehe. look a bit like Toyota Prius. production date? 2018?? hmoh.. need to wait few more years.. 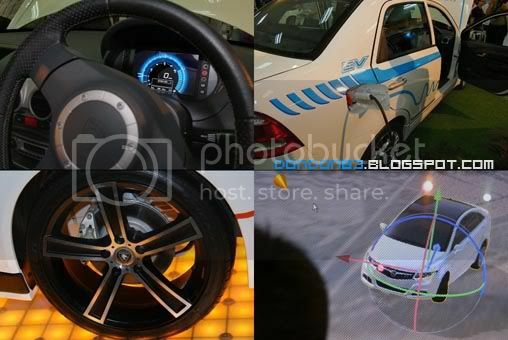 The Proton Beeza.. and the Perodua Mini MPV? 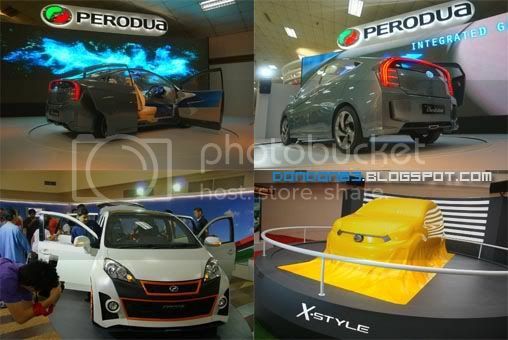 the covered up "X-Style".. heard is Perodua Myvi Replacement? Wow!! 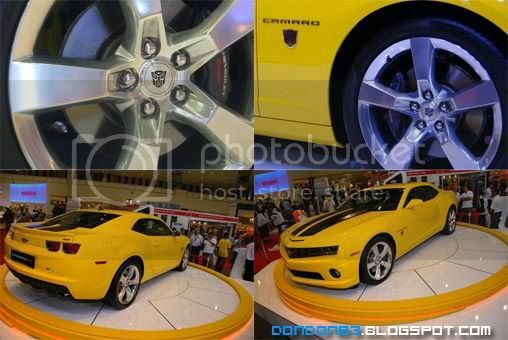 the Yellow Bee from Transformer!! it's Bumble Bee!! this is the 2010 Chevy Camaro Transformers Special Edition. yupe.. it's available, you can actually own it, if you got the $$$. but trust me, it won't transform into Bumble bee like it transform in the movie. Camaro Camaro.. Bumble Bee Bumble Bee. even the RIM also labeled with AUTOBOT logo. i wonder will MAS or AIRASIA plane labeled with DECEPTICON logo someday ? The Bumble Bee... ok this. 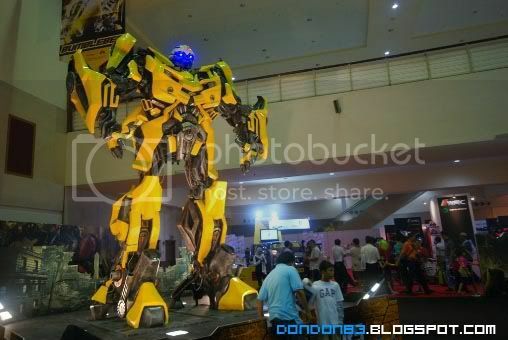 huge Bumble bee... it's meant for photo session.. 1:1 scale.. actual size.. and i see a lots of transformer toys beside it.. make me feel like i'm middle of Toy Fair? Kids will love this. Biggest JOKE of the day!! 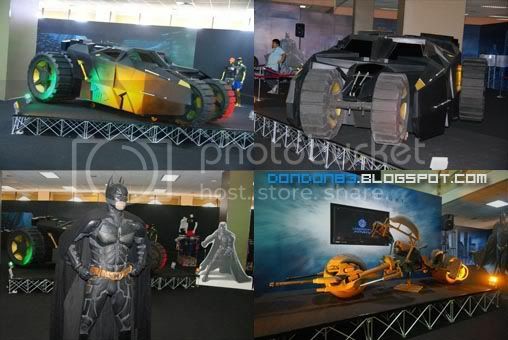 they advertise BIG and almost EVERYWHERE that Transformer Bumble Bee and Bat Mobile will be here. and this Bat Mobile? i laugh when i saw it... feel like cheated.. i plan to take a close picture of it.. but someone stop me for doing so.. so i took the picture from far. and the Bat-Bike.. is made from clay? haven't colour it yet..
ggg.... i'm lost.. let see which Car Manufacturer i want to go.. let go to Naza and see. there is a section for NAZA. and they bring in Ferrari's and Lamborghini,Bently, Aston Marton.. and so on.. i heard a joke while i'm taking photo of the Lamborghini Murcielago. saw a malays guys said.. "LEMBU INI MASIH LAKU". ok... that's how malay pronounce "lamborghini Murcielargo".. hahaha. there is lot's model here too. murcielargo or the pretty lady? and there are some Bikes on display too.. Ducati and Harley Davidson. and a 3 wheels and bike lookalike vehicles. The Toyota FT-HS. i previously it's SUPRA replacement.. then now add on Hybrid heart. 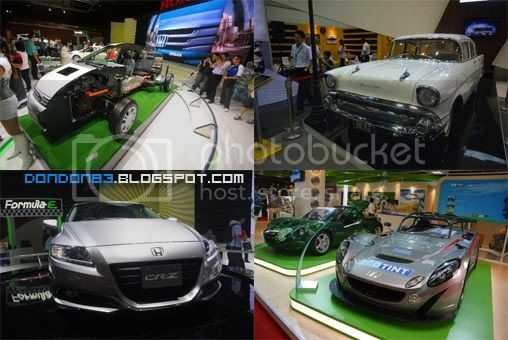 hmph.. hope to see it in production one day.. and there is no FT-86 concept car here. 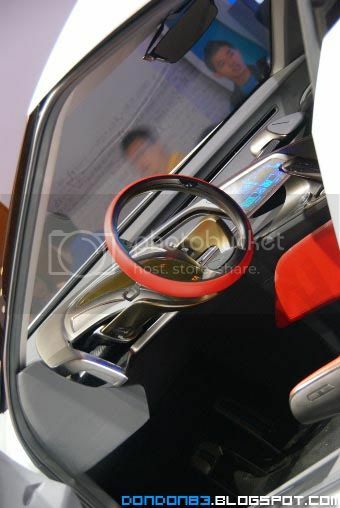 Takumi would be disappointed..
fuah... look at the Interior of the FT-HS! it's so futuristic! 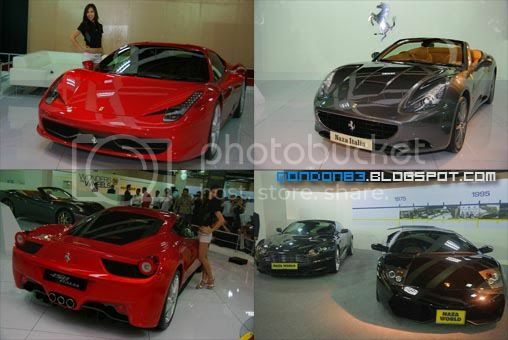 ok.. it's less attractive compare to KLIMS 2006, i were expect to see Lamborghini Reventon, Bugatti Vyron, Ferrari Enzo FXX. zonda F etc kind of Rare Supercars.. but the.. so few super cars there..